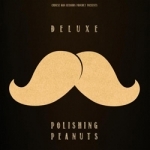 This is a wicked tune, taken from the French band Deluxe's new EP called Polishing Peanuts. Easy does it, a cool laid-back hip hop beat with some old skool jazz flourishes and lush vocals. Yeah! OUT NOW on Chineseman Records.